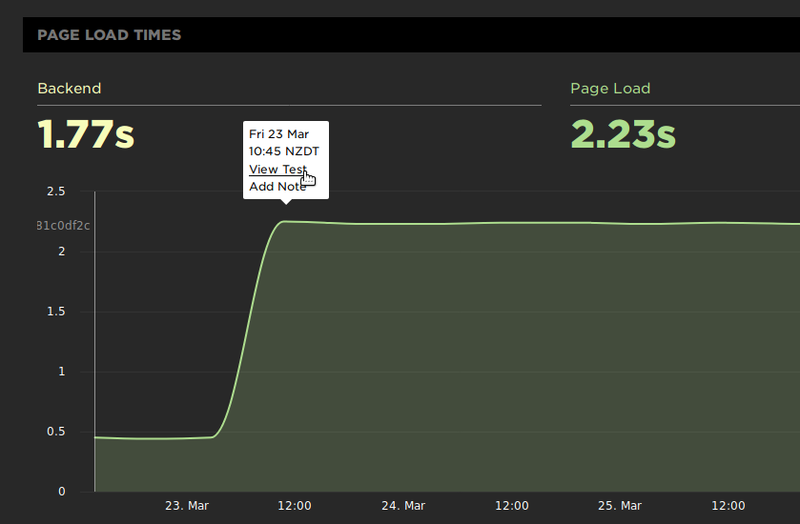 The first step to viewing detailed test results is to navigate through to the test result page in SpeedCurve. This can be done by clicking on a single point on any chart* and then clicking View Test. *This works for any chart except for Favorites charts that use the Average stat. This is because each point in one of these charts is the average of several tests, and there is no single test that represents the average. WebPageTest Results will take you to the underlying WebPageTest results for that test. Timeline Trace will take you to an in-browser Chrome DevTools view of the test timeline. Note that this view will only work in Google Chrome. 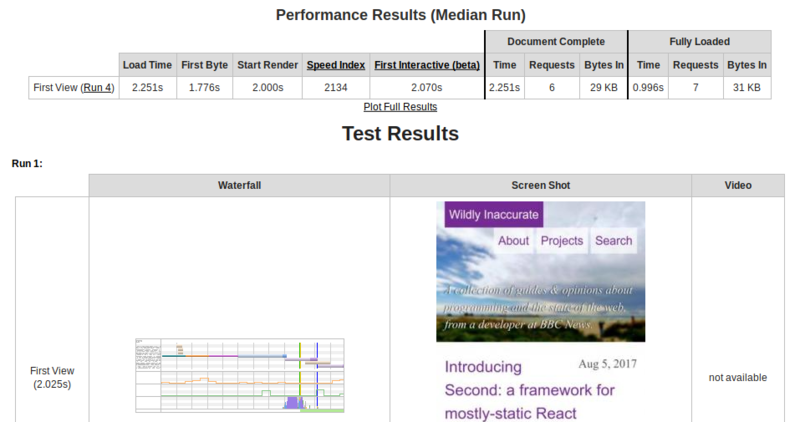 Clicking through to the WebPageTest Results will bring you to a page that shows the results for all test runs that were performed for that test. Note that SpeedCurve uses the median of these test runs. Clicking through to the Timeline Trace will bring you to an in-browser version Chrome DevTools, with the trace profile for the test already loaded. You can view the raw test result data as JSON at the following URL: https://wpt.speedcurve.com/jsonResult.php?test=<test_id>. 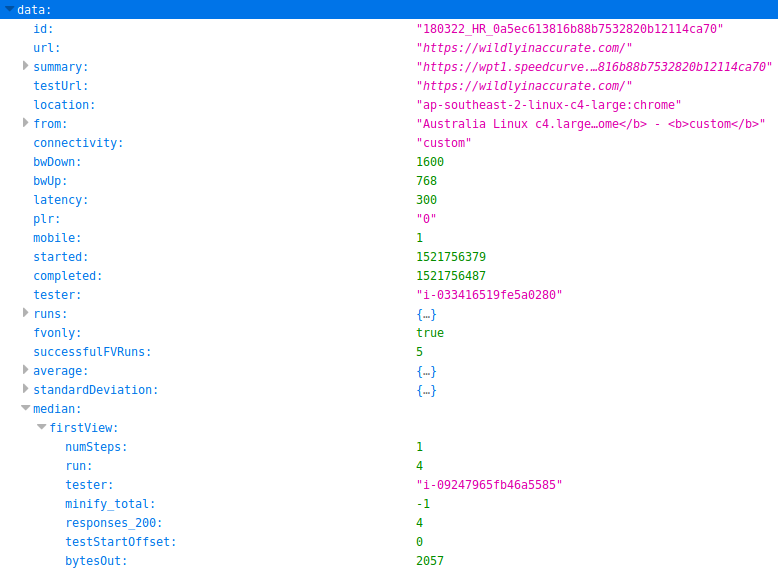 This will load the full test result data for all test runs.